Photograph. 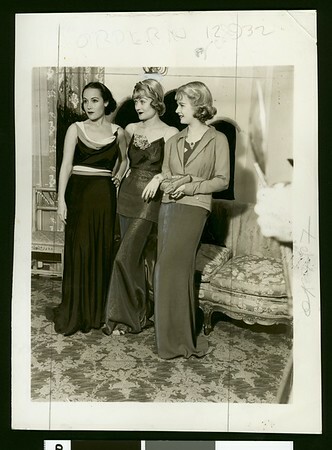 "A charming trio among the throng including Dolores Del Rio, Constance Bennett and Joan Bennett, left to right above." -- Examiner clipping attached to verso, dated 10 December 1934.